Summer Personal Training is available for a total of 9 weeks during the summer season. Families can choose Weeks 1-3, Weeks 4-6, or Weeks 7-9 and select 4 or 6 week training sessions within those chosen weeks. All personal training sessions must be scheduled within this designated time frame. 1. Register for Weeks 1-3, Weeks 4-6, or Weeks 7-9 (4 or 6 sessions) by clicking "CLICK HERE TO REGISTER" above. 2. You will receive a "confirmation receipt" via email. The link to schedule your training sessions can be found in the "Confirmation Receipt." 3. Click the "scheduling" link and schedule your training sessions. 4. You will receive an email shortly after confirming your dates. 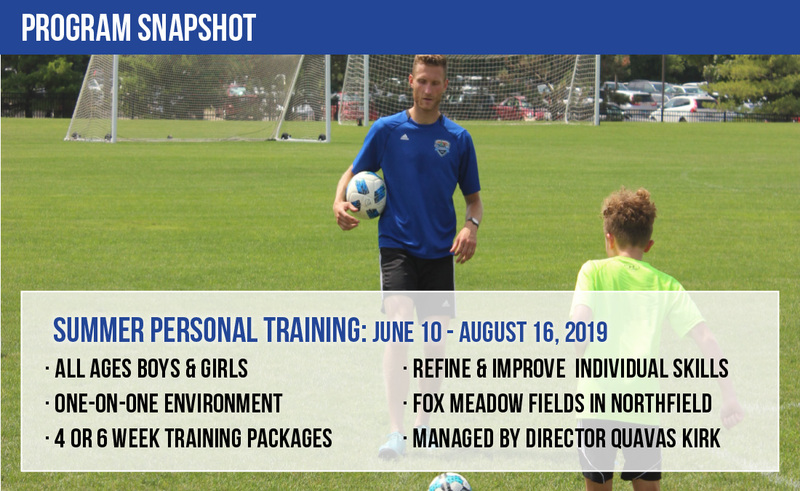 Any questions or clarifications, please contact Personal Training Director Quavas Kirk at 847-386-6579 or quavas.k@treviansoccerclub.com. Each personal training hour hosts a maximum of 4 players, unless otherwise stated. There will be no pro-rates or reschedules due to non-club related scheduling conflicts. 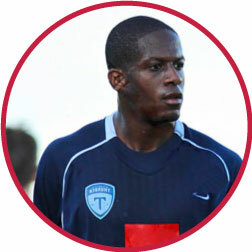 TSC/FCU Personal Training will managed by Director Quavas Kirk. Contact Quavas at quavas.k@treviansoccerclub.com. All day of needs, emergencies, and player development inquiries should go though Director Quavas Kirk at quavas.k@treviansoccerclub.com or 847-999-8459.